Texas A&M AgriLife Research is a state agency who is affiliated with the Texas A&M University System. Specifically, all faculty in the College of Agriculture and Life Sciences (AGLS) at Texas A&M University in College Station, Texas have an appointment in AgriLife Research. In addition to the faculty in the 14 academic departments that make up AGLS, there are 13 Texas A&M AgriLife Research and Extension Centers throughout the State of Texas where AgriLife Research faculty are located. Faculty at the Research and Extension Centers also hold an appointment in an on-campus department in AGLS. AgriLife Research serves as the umbrella agency for the CARFS supported by the National Science Foundation and the National Institute of Justice through Texas A&M University. A multi-disciplinary forensics team of researchers from within AGLS as well as other scientists from across multiple colleges at Texas A&M University (College of Engineering, College of Nursing, College of Medicine) forms the forensic science research group. Collaborators from other universities including the University of North Texas Health Science Center and Texas State University are also an integral part of the program. Undergraduate students are able to pursue their education in the forensic sciences through a FEPAC accredited Forensic & Investigative Sciences Program (B.S.). Graduate degrees (M.S. and Ph.D.) also are offered in a wide array of scientific disciplines affiliated with the forensic science research group. The core forensic science concept at our site is forensic microbiology. Microbes influence numerous areas to include health, energy and food production, environmental remediation, and forensic science. Our research will investigate the role microbes play in decomposition. We will utilize lab and field-based experiments spanning microbiology, entomology and human biology through the implementation of cutting edge technologies including recently developed high throughput sequencing technologies to learn about the process; harvesting nature and its products to better serve humanity. Results generated from this site will result in novel methods for solving crime, suppressing pathogens of humans, livestock and companion animals, while also creating new sources of energy, alternate sources of protein and protecting our infrastructure. Collaborations possible through CARFS will allow for multi-disciplinary training of students to address challenges faced today and possibly tomorrow in forensics and beyond. Dr. Aaron Tarone has a B.S. in Genetics from UC Davis, a Ph.D. in Zoology from Michigan State University, and did a postdoc at the University of Southern California in Molecular and Computational Biology. He has been publishing in molecular biology since 2003, in forensic entomology since 2006, and in genomics since 2008, with more than 40 peer-reviewed articles. He has published in Nature, Science, and the Proceedings of the National Academy of Sciences. His forensically relevant publications have appeared in the Journal of Medical Entomology, PloS One, Insect Molecular Biology, Ecosphere, Journal of Forensic Sciences, International Journal of Legal Medicine, Annual Review of Entomology, and Trends in Ecology and Evolution. Tarone has experience with mRNA and transcriptomic research in fruit flies and blow flies. His dissertation was funded by an NIJ grant to improve precision in age estimates using a quantitative RT-PCR based candidate gene approach, demonstrating the potential utility of gene expression in predicting fly age for forensic purposes. He has collaborated with Dr. Jeff Tomberlin on two projects that have received NIJ funding – one on the microbiome of decomposition and another on the upper thermal limits of blow fly biology. He also worked successfully on a number of genomic projects in forensic science including the development of transcriptomic tools for the forensically important blow fly L. sericata, functional and quantitative genomics in C. macellaria (NIJ funded), and miRNA / proteomics in several fly species relevant to forensics (NIJ funded). Microbiological correlates of blow fly development: Carrion-feeding insects collected as evidence from forensic investigations are currently used as a biological clock to provide information regarding the timeline of a death. Recent research has also indicated the promise of using microbiological evidence as a similar biological clock. The combination of both types of evidence could be powerful, as each biological system suffers from different limitations. However, preliminary work indicates these two biological clocks interact with one another. For instance, carrion-feeding flies are known to manipulate bacterial communities – to such a degree they are used as medical devices and their absence markedly impacts the trajectory of bacterial community assembly on remains. In addition, there is limited evidence that specific bacteria can impact carrion fly developmental, which is expected to impact the accuracy of insect age estimates in forensic entomology. Therefore, the proposed goal will be to dissect the interactions between these two types of evidence in order to most effectively interpret results from either biological clock. I received my BS from the University of Georgia, MS from Clemson University, and PhD from the University of Georgia. I held a postdoctoral position with the University of Georgia and USDA for one year prior to accepting a faculty position with Texas AgriLife Extension and the Department of Entomology at Texas A&M University in 2002. I shifted my position to a tenure track faculty position in 2007. Since arriving on campus at Texas A&M, I have been able to establish a successful research program with 18 MS and 9 PhD students completing their studies under my supervision. My research examines the various mechanisms regulating carrion decomposition and applications in areas such as the forensic sciences. My emphasis is the interaction between bacteria and insects often associated with decomposing human remains as a means to determine when an individual was colonized by insects and potentially estimate a minimum time of death. Microbial community assessments and interactions with insects on decomposing vertebrate remains. Dr. Robert C. Alaniz earned a B.S. in Microbiology from Texas A&M University and a Ph.D. in Immunology from the University of Washington, where he also did a postdoctoral fellowship in Microbial Pathogenesis. 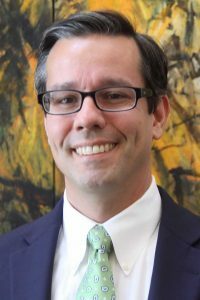 Dr. Alaniz is the principal investigator for a dynamic and interdisciplinary NSF- and NIH-funded research program utilizing expertise in microbiology, cellular immunology, and infectious disease immunity, to determine the functional mechanistic properties of microbiota-derived metabolites for regulating the host immune and physiologic systems. To do this, Dr. Alaniz integrates cellular immunology with microbial ecology, metagenomics, and metabolomics, and computational systems biology in an interdisciplinary effort utilizing a strong and established a collaborative team in the context of homeostasis and a number of complex inflammatory diseases. Dr. Alaniz has an ongoing collaboration with Dr. Tomberlin and Dr. Tarone investigating the role of the microbiota in forensic microbiology and science. Dr. Alaniz is the founder (2009) and Director of the College of Medicine Cell Analysis Facility at the Texas A&M Health Science Center ensuring access to and developing sophisticated flow cytometry tools for the research community. Moreover, Dr. Alaniz recently established and is the Director of the Core for Integrated Microbiota Research (CIMR) (2015) that provides microbiota expertise and germ-free and gnotobiotic mouse models for research. Furthermore, Dr. Alaniz is a founder of FORTIS Biosciences (https://www.fortisbiosciences.com/), a Texas A&M Health Science Center spinout biotechnology company based on his research discoveries and the transformative potential of mining the universe of microbiota chemical signals with drug-like properties for the treatment of human disease. A recent video and article entitled “Making the impossible, possible” about Dr. Alaniz and his research program and commercialization efforts can be found at https://vitalrecord.tamhsc.edu/making-impossible-possible-robert-c-alaniz-phd/ . The overarching research goals of the lab are directed toward understanding important host and microbial mechanisms that instruct the development of pathogen-specific effector, memory, and protective T-cell immunity after infection with intracellular bacteria. As our primary model, we use murine infection with Salmonella enterica Serovar typhimurium. Salmonellae are naturally acquired by the oral route and invade early after infection from the intestinal lumen through M-cells into the Peyer’s Patches. Afterward, Salmonella disseminates systemically to colonize peripheral tissues (e.g., the spleen). Protective host defenses initiate in the gut and later at peripheral sites where ultimately a combination of innate (macrophages) and humoral (B-cells, antibody) and cellular (T-cells) immunity work in concert to resolve infection. The production of the cytokine IFNγ throughout the host response (Th1-type) is absolutely required for protective immunity. Bacteria that infect via the enteral route encounter a qualitatively different environment than pathogens that colonize through parenteral routes. Salmonella must navigate through and may take advantage of the unique immunobiology of the gut mucosa in order to efficiently colonize and establish infection. In addition, the gut mucosal immune system has evolved several mechanisms that serve to maintain immune homeostasis under a continuous onslaught of potential inflammatory and immunogenic exposure from nominal food antigens and the enormous biomass of the commensal microbiota. It is in this complex environment, that host defenses must distinguish “friend or foe”. Understanding mechanisms in this environment, under homeostatic or dysregulated states, that influence the development of Salmonella-specific CD4+ T-cells is one goal of our research. An additional area of research aims to understand the compartmentalization of host defenses as Salmonella effectively exists as a mucosal and at later times a systemic pathogen. For instance, Salmonellae that colonize the gut and those that subsequently transition to colonize peripheral sites have different antigenic mosaics (e.g., flagellin expression). Recognizing the host and microbial differences in these compartments, we aim to determine the relative importance of CD4+ T-cells primed in the mucosa versus T-cells primed at systemic sites for overall host protective immunity. After activation, lymphocytes are instructed to progress through several possible fates and T-cells develop into an effector (TEFF) and/or memory (TCM and TEM) T-cell subsets, each with unique and important properties for immunity. CD4+ T-cells are further classified by their mucosal or peripheral imprinting status based on the expression of specific molecules on the T-cell surface. In particular, the integrin α4β7 is highly expressed on T-cells activated/imprinted in Peyer’s Patches and α4β7 mediates T-cell migration to the gut. Using flow cytometry and multiple cellular immunological techniques, we aim to isolate several populations of Salmonella-specific T-cells based on their memory and imprinting phenotypes to determine the functional roles of each subset towards protective host defense against oral Salmonella infection. Another research theme in the lab focuses on membrane vesicles (MVs): discrete spherical nano-assemblies produced from the outer membrane by Gram-negative bacteria. Although described in the literature for decades, the mechanism of production and MV function(s) have only begun to be clarified. In preliminary studies using Salmonella, we demonstrated MVs have potent adjuvant and immunogenic properties for pathogen-specific humoral and cell-mediated host defense stimulation in vivo. After vaccination, MVs induce protective immunity in mice against subsequent live Salmonella challenge, unlike that reported for heat-inactivated bacteria. In a partly translational research approach, we aim to determine the immunogenic and proinflammatory properties of MVs that promote the induction protective immunity. In one approach to accomplish this goal, we will determine the capacity of MVs to activate dendritic cells (DCs), the critical antigen presenting cell for inducing host adaptive immunity in vivo. In addition, we will determine the immunogenic potential of MVs produced by Salmonella using in vivo immunization models as well as in vitro proteomic techniques. Dr. Vladislav Yakovlev is working in the interdisciplinary area of optical imaging, spectroscopy and sensing applied to biomedical, environmental and analytical applications. His primary research interest is focused on advanced optical instrumentation for microscopic imaging and remote sensing/imaging. Prior to joining Texas A&M University in 2011, he was a faculty member in Physics Department, University of Wisconsin – Milwaukee (Assistant Professor: 1998 – 2002; Associate Professor: 2002 – 2007, Professor: 2007 – 2011). He was awarded the NSF CAREER Award in 2002. He is also a recipient of the Lamb’s Medal in Laser Physics (2015). He is a Fellow of AIMBE, APS, OSA and SPIE. He is a member of the Editorial Board of Journal of Biomedical Optics and an Associate Editor for Optica. His research was supported by NSF, NIH, AFOSR, ONR, ACS-PRF, Research Corporation and CPRIT. Dr. Victor Ugaz is a Professor of Chemical Engineering and the Holder of the Charles D. Holland ’53 Professorship at Texas A&M University (College Station, TX, USA). He holds B.S. and M.S. degrees in Aerospace Engineering from the University of Texas (Austin, TX, USA), and a Ph.D. in Chemical Engineering from Northwestern University (Chicago, IL, USA). Ugaz spent three years as a postdoctoral research fellow at the University of Michigan (Ann Arbor, MI, USA) under the supervision of Prof. Mark Burns, a pioneer in the area of integrated microfluidic DNA analysis systems. He joined the faculty in the Department of Chemical Engineering at Texas A&M in January 2003, where he is also a member of the Interdisciplinary Faculty Group in Forensic and Investigative Sciences. Dr. Ugaz’s research interests involve developing innovative microfluidic technologies to enable field-based nucleic acid analysis, separations, and point of use assays relevant to microbial forensics applications. He has published 78 scientific articles and book chapters in journals such as Science, Proceedings of National Academies of Sciences USA, Advanced Materials, Angewandte Chemie, Nano Letters, Nature Communications, Physical Review Letters, Lab on a Chip, Analytical Chemistry, and Electrophoresis. His research has been funded by a variety of sources including the US National Science Foundation and the US National Institutes of Health, US Department of Energy, US Department of Defense, and State of Texas. He has served as President and Newsletter co-Editor of the American Electrophoresis Society (AES), and serves on editorial boards of the journals PLoS ONE and Scientific Reports.